Connect the Dots Ginger | Becky Allen: Life Isn't Perfect, NEITHER AM I! Life Isn't Perfect, NEITHER AM I! If you are following me on Instagram or Facebook, you see my workout highlights all the time. But let me tell you! 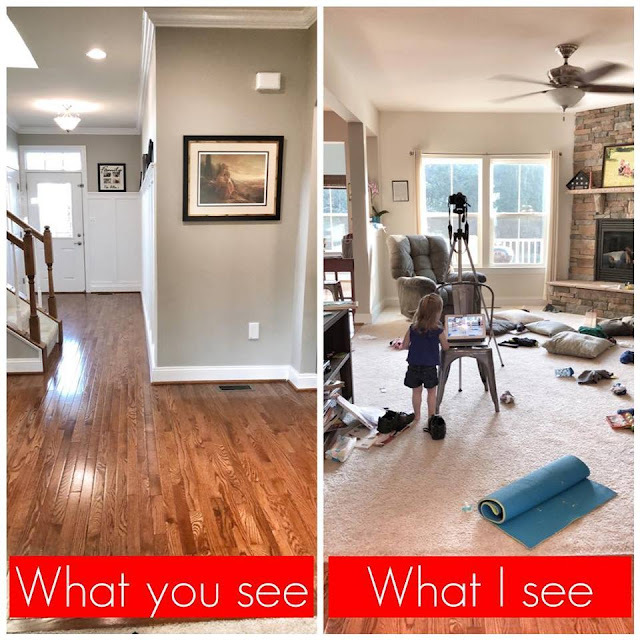 Things are not always as they seem! The other day I found out that the horn player that sits right next to me had seen my page but didn’t realize that it was me until I showed a picture she recognized. The next question she asked me was, “How do you get your floors so clean?” To answer that, I clean them with Bona Floor Care once a week and spot clean during the week after my workouts. You know. To clean up the sweat. And honestly it’s just the floors themselves and the finish. They shine really well! It doesn’t take anyone special, or some magic ability to be a stay at home working mom of 3 kids and 2 home businesses and volunteer weekly make time to exercise. You just have to make a plan. Find a space. DO IT and Make it work. With kids around you if you have to. You can do this!